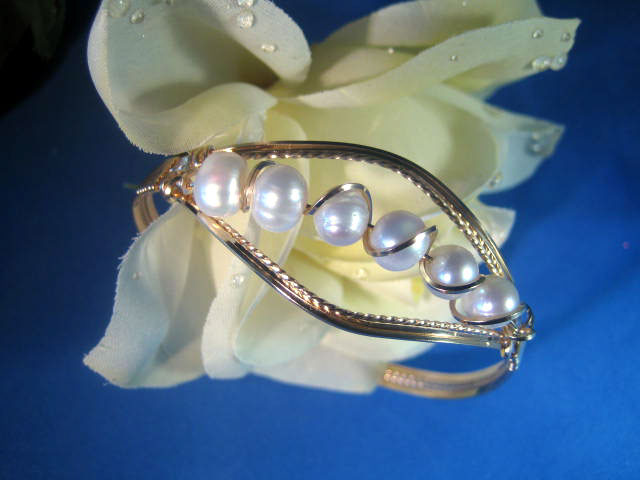 Gold and Pearl Bangle bracelet. This bracelet is totally handcrafted. 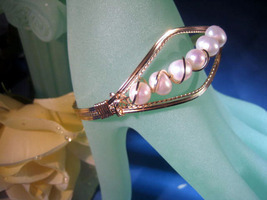 What a nice gift this bracelet would make. 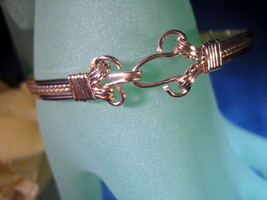 It is made with six 14K rolled gold wire. Two wires are twisted to make this a little more dressy. 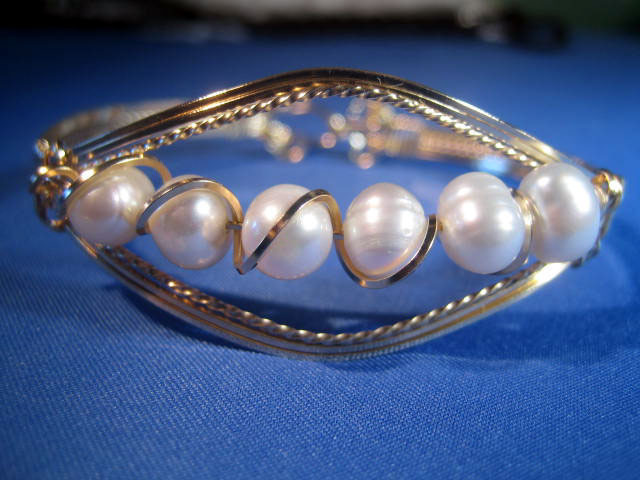 Swarvoski Pearls wrapped in 14K rolled gold wire. It measures 7 1/2 inches. I can take custom orders for a specific size, also silver or gold.